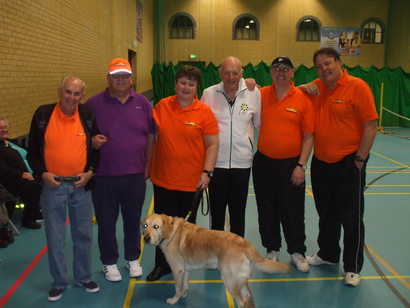 Potters Bar Additional Needs Tennis Group was established in the year 2000. Its aim is to provide tennis coaching and involvement in sporting activities to all types of special needs schools, organisations and individuals. It caters for people of all ages with both physical and psychological disabilities, including Autism, Attention Deficit Hyperactivity Disorder (ADHD) and Downs syndrome. To date we have delivered tennis coaching sessions to groups with visual impairment, youths with behavioural issues and wheelchair users. Some of these are provided through special needs schools and organisations some on an individual basis. Since the Paralympics in London 2012 there has been a greater public awareness of the desire and ability of disabled people to participate and excel at sporting activities. We have expanded our program and are actively seeking new groups or individuals who would like to play tennis.